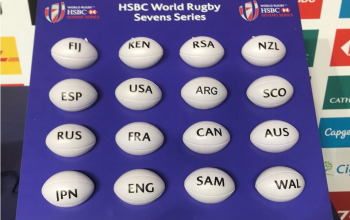 Two straight pool B wins over France and the USA coming after a losing start against England on Saturday 28 April confirmed a place for Kenya in the Cup quarters at Singapore. Shujaa will now face South Africa in the second quarterfinal game in the wee of Sunday. 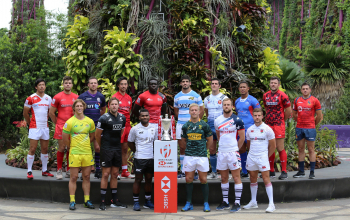 Kenya was reduced to second fiddle by England after going down 28-19 in the first game but turned around their display to claw France 34-0 and USA 33-14 to qualify for a seventh straight Cup quarterfinal. 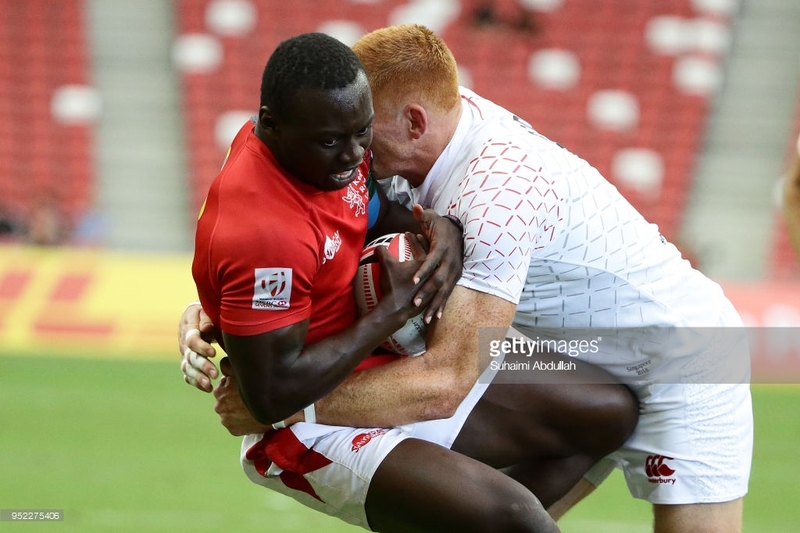 In this game Kenya started off with an unconverted try by Collins Injera but England was to coast to a 28-5 lead forcing Kenya to play catch-up. Despite going ahead 5-0 through Injera's try, Kenya was to trail 14-5 at half time after Dan Norton - the series all-time top try machine - responded with two converted tries. Two converted touch downs in the second half from Alex Davis and Ollie Lindsay-Hague had Kenya on the ropes. Kernya's chase for a win ended with two converted tries from Willy Ambaka and Nelson Oyoo. In the second game Kenya scored six tries with two converted. Star player Injera landed a hat trick - two coming in the first half alongside one by Billy Odhiambo who added a second in the second half for a brace. Injera's double and one from Billy, with two conversions from Sammy Oliech had Kenya up 19-0 at half time. Andrew Amonde's try besides that of Injera and Billy in the second half completed the rout. 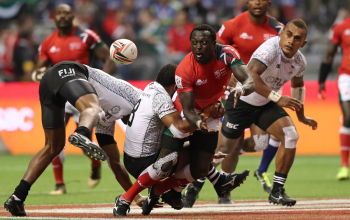 Against the USA, Kenya picked the advantage to lead 12-7 at half time from an unconverted try by Willy Ambaka and seven further points from Oliech courtesy of a try and conversion. A Kevon Williams converted try was the response from USA. 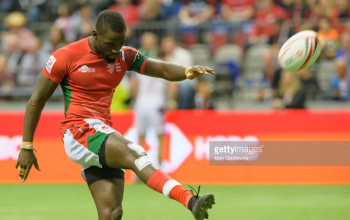 Into the second half Oliech completed his brace and converted it for Kenya to lead 19-7. That set the tone for big Amonde whose interchange with Jeff Oluoch saw him land his historic half century try in the series. Eden Agero topped it up -and the next one from skipper Oscar Ouma to see Kenya lead 33-7. A late Bret Thompson converted try settled the game at 33-14.